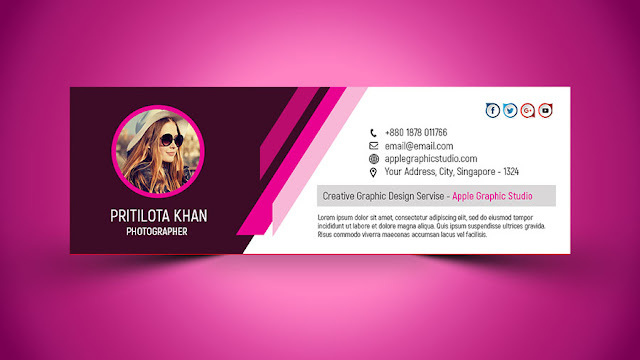 Hello friends, Today we will show you how to design a psd Corporate Email Signature by using Photoshop. You can easily convert this psd into html Email Signature. Also it can be use for Gmail, Hotmail, Yahoo Mail and other web mail. This email signature size is 1000 pixel width x 333 pixel height.Choose the color mood to RGB. Here I have shared all icons images you need. So, let's start watching the video below.